PARIS—The United States is pulling out of UNESCO because of what the Trump administration claims is its anti-Israel bias and a need for “fundamental reform” of the U.N. cultural agency. UNESCO is a group the U.S. helped establish in 1946, after World War II, to widen access to education and ensure the free flow of ideas. 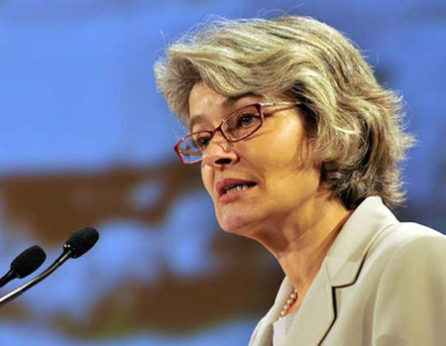 Irina Bokova, the outgoing UNESCO director-general, expressed her “profound regret” at the decision and defended the reputation of the U.N. Educational, Scientific, and Cultural Organization, best known for its World Heritage program to protect cultural sites and traditions. The organization also works to improve education for girls in poor countries and in scientific fields and to defend media freedom, among other activities. In 2011, the U.S. cut off more than $80 million a year, about 22 percent of its entire budget for UNESCO, in reprisal for the organization’s acceptance of Palestine as a member, but the State Department has maintained a UNESCO office and sought to weigh in on policy behind the scenes. The U.S. now owes about $550 million in back payments. Despite the funding cut, the United States even has a vote on the executive board, which selects the new director-general. But the U.S. lost its voting rights in UNESCO’s principal decision-making body, which is known as the General Conference. That body approves UNESCO’s budget and establishes a range of programs dealing with education, science, and culture around the globe. 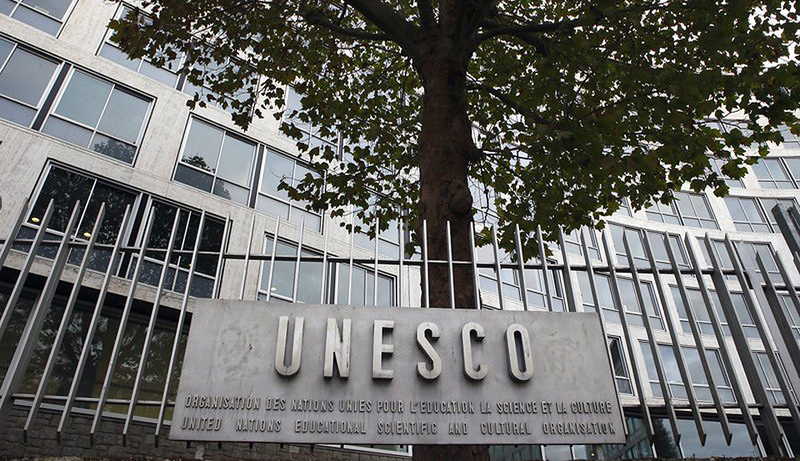 The lack of staffing and funding plans for UNESCO by the U.S. have been accompanied by repeated denunciations of the organization by senior U.S. officials, including U.S. Ambassador to the United Nations Nikki Haley. 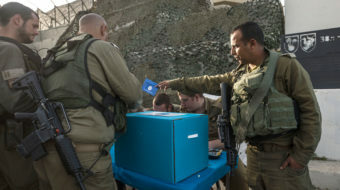 The officials, who were not authorized to be publicly named, said the U.S. is notably angry over UNESCO resolutions denying Jewish connections to holy sites. Last year, Israel recalled its ambassador to UNESCO in protest after Arab governments in the organization secured support for a resolution denouncing Israel’s policies regarding religious sites in East Jerusalem and the West Bank. And in July, UNESCO declared the old city in Hebron, a West Bank town that includes the Tomb of the Patriarchs, a Palestinian World Heritage Site. 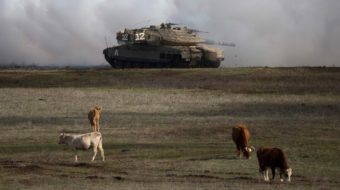 Israel claims the move negates Judaism’s links to the biblical town. She defended UNESCO’s reputation, noting its efforts to support Holocaust education and train teachers to fight anti-Semitism—and highlighted the fact that that the Statue of Liberty is among the many World Heritage sites protected by the U.N. agency. Most other UNESCO members did not immediately comment on the U.S. departure, but on October 12, Israel announced it would also leave. It’s not the first time the U.S. pulled out of UNESCO. Under the Reagan administration, the U.S. withdrew in 1984, at the height of the Cold War, citing “corruption” and what it considered an ideological tilt toward the Soviet Union against the West. The latest U.S. move underscores the position taken by President Donald Trump concerning the need for the United States to remain engaged in multilateral bodies. The president has touted an “America First” policy, which puts U.S. economic and nationalist interests ahead of international commitments. 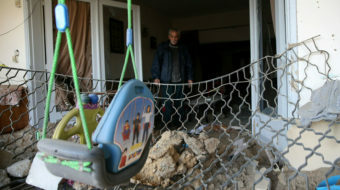 In a news report from Reuters, diplomats expressed concern about the loss of U.S. engagement. “The absence of the United States or any large country with a lot of power is a loss. It’s not just about money, it’s promoting ideals that are vital to countries like the United States, such as education and culture,” a UNESCO-based diplomat said. This article features content from the Associated Press and other sources. Barbara Russum also contributed.